« There’s not enough hours in the day! While carrying research for a new ghost story book, I have re-read numerous tales of Scottish Folklore which has led me to decide that rather than disregard the tales that cannot be included in the ghost story books (due to the lack of ghosts!) I am going to collate many of these together into another book. As with the earlier ghost story books, I intend to concentrate on less well-known locations. 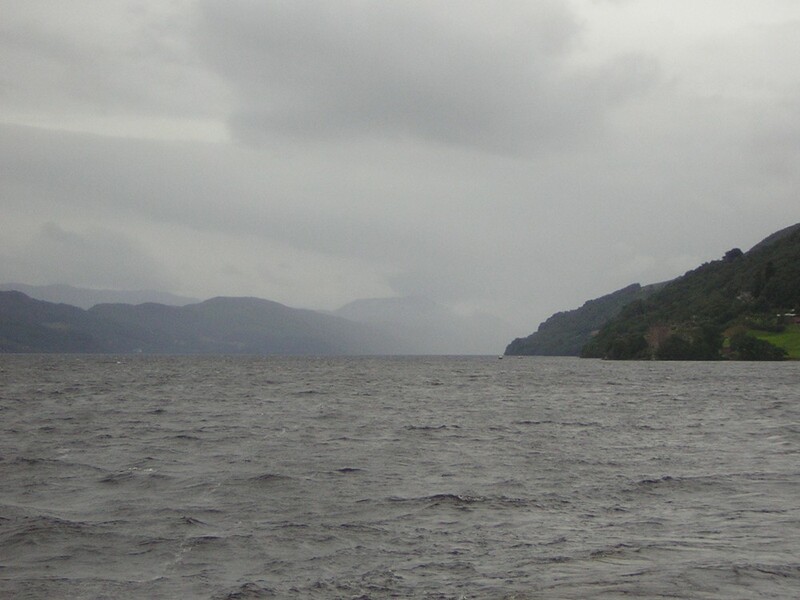 Loch Ness is known worldwide, and so will not be included (I have also already given my own thoughts on the Loch in Scottish Ghosts and Witches), but it is one of these legends that difficult to ignore. Reports of the monster date back 1500 years, to the 6th Century when St Columba is said to have encountered the beast and commanded it to cease attacking the people who fished on the loch. Since then there are numerous tales of encounters of water beasts throughout Scotland. The Loch Ness monster did not become truly famous until the 1930s when it was spotted by a local hotel manageress, Mrs Mackey. Soon after many more claims were made by people who had witnessed a strange animal on the banks of the Loch or, more commonly, in the murky water. The cynical may find it strange that there were not more sightings before this and point out that a hotel owner reporting a sighting may have been more about business than reality, but the increase in sightings can equally be put down to the new road opening at that time, running along the banks of the Loch and from which most of the sightings were made. It is logical that a sudden, large increase in the number of people travelling along the side of the Loch would lead to more people seeing what they believed to be the monster. However, trying to get to the bottom of what had been witnessed were not helped by elaborate and famous hoaxes, such as ‘the surgeons’ photograph which, after 60 years, was revealed to be a fake, created out of revenge for a previous investigation being discredited. So if there is a large creature in the Loch, why has it proven so difficult to find? Numerous sonar explorations have been carried out, and while some have detected something unexplainable, none have been able to prove the existence of a monster. To consider the difficulties, it is important to understand the size of the Loch. At almost twenty-three miles long, over one and a half miles wide at the widest point, the Loch holds more water than the total volume of water held in all the lakes in England and Wales combined. When you ask the depth of the Loch, the most common answer you get is ‘it’s as deep as the hills on either side are tall.’ That’s not anyone trying to be smart, it’s trying to help people visualise what the measured depth of seven hundred and fifty feet looks like. In reality, the true depth of the Loch is not known. As late as the 1980s a series of caves were discovered almost accidentally at the bottom of Urquhart Bay. These caves, known as ‘Nessie’s Lair’, have a measured depth of eight hundred and twelve feet, but many people speculate that the network of caves go far deeper. The peat filled water in the Loch however makes investigating these caverns almost impossible. This could be one of many such networks, and who knows how far they stretch. I don’t expect this mystery to be solved any time soon. This entry was posted on November 29, 2013 at 4:55 pm and is filed under Uncategorized with tags legends, Loch Ness Monster, mysteries, Nessie, Scottish Folklore. You can follow any responses to this entry through the RSS 2.0 feed. You can leave a response, or trackback from your own site. Hello, many thanks for your kind words. To be honest, I am relatively new to blogging too, so do not feel qualified to offer advice on it. I write about what interests me and I hope like minded people find it interesting. If you write about things you enjoy, I’m sure you’ll do well. What I would say is I know I don’t post enough, and I aim to fix that soon. Good luck with your blog and thanks again. Thank you for your comments, I’m glad you’re enjoying the blog.